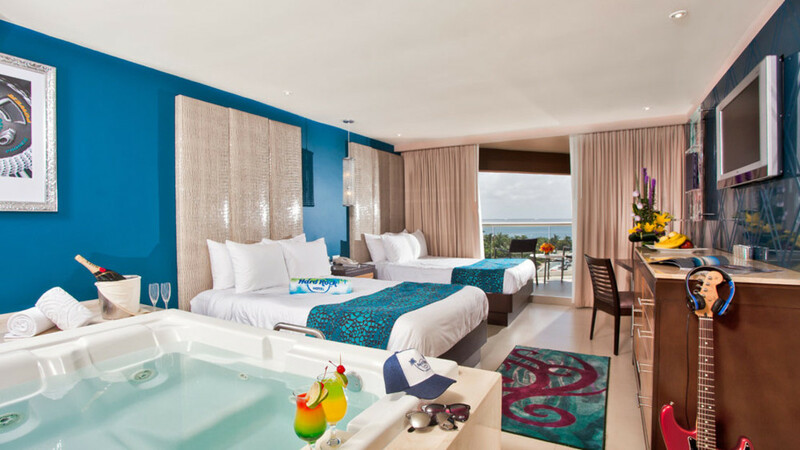 Enjoy the superstar treatment on your Caribbean holiday with a stay at the legendary Hard Rock Hotel Cancun. From the funky decor to the activities and facilities throughout resort, everything here has been designed with rock-lovers in mind. Of course, there’s live music entertainment to get your feet tapping and head moshing throughout your Mexican beach break. But, if you just want to relax and soak in some rays, there’s plenty of peaceful spots to recharge your batteries. 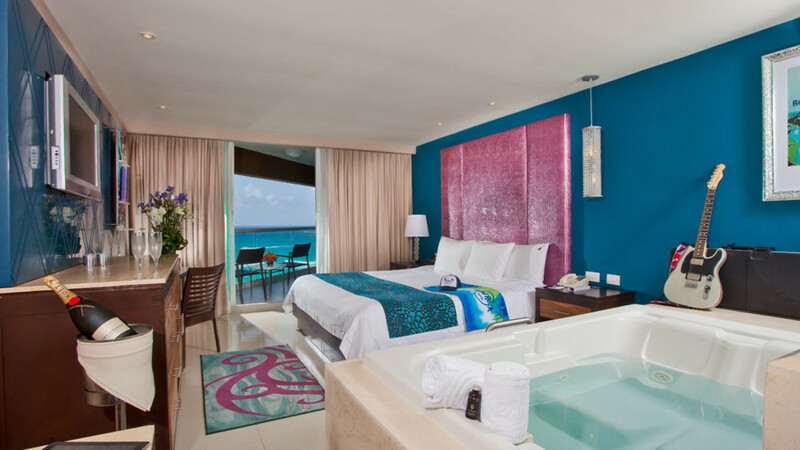 Hard Rock Hotel Cancun is located directly on the beach. 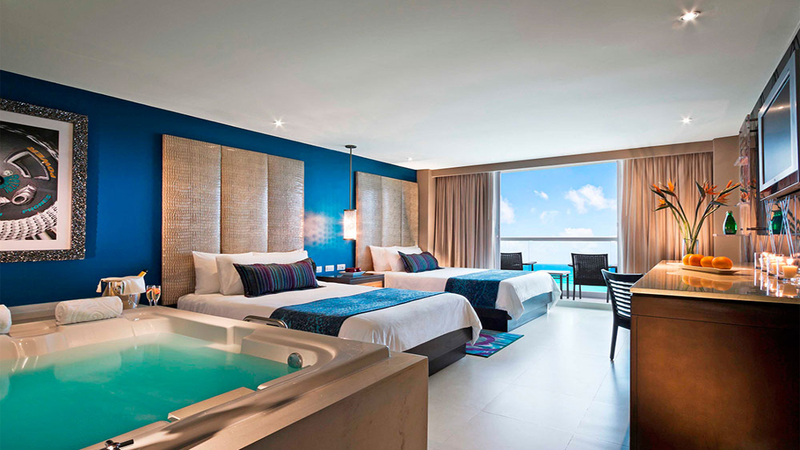 This resort is located in the centre of Cancun’s hotel zone, with the city centre approximately 19km away. 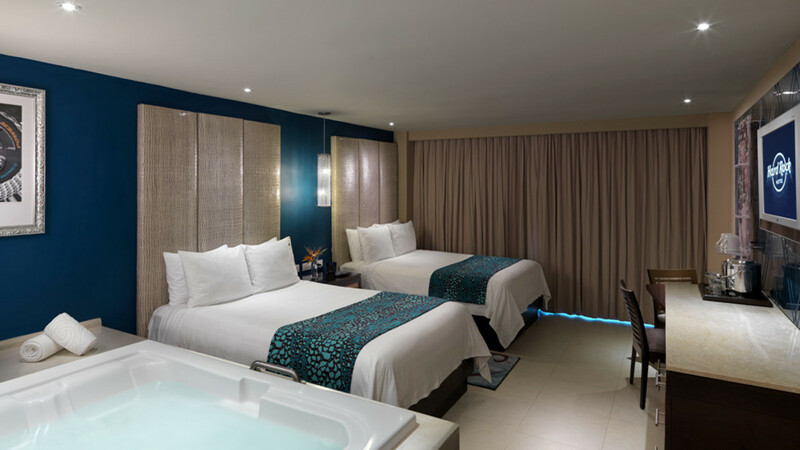 Cancun International Airport is approximately 17km away from Hard Rock Hotel Cancun. Please note that details are subject to change. 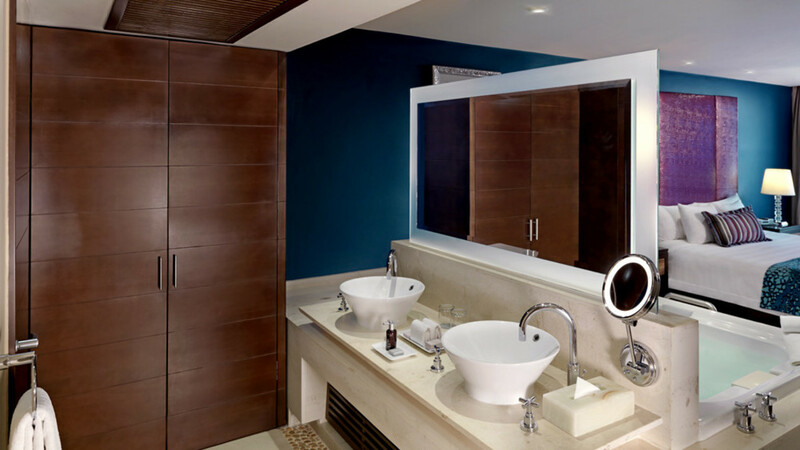 You will be provided with full details for the all-inclusive package on arrival at the hotel.